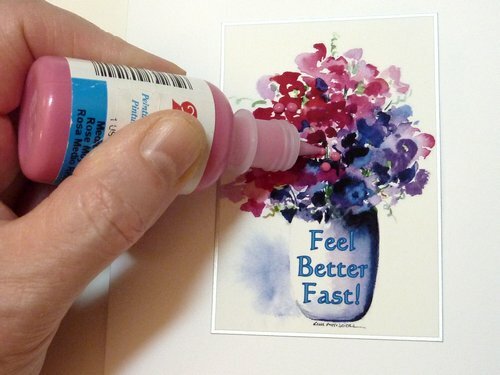 Raised flowers is certainly the easiest of our card making ideas to incorporate in your cards. It's also very effective at raising the interest level in a card. Be careful not to overdo it though. Remember that it's important to not let the embellishment dominate the underlying image. Work on the basis that less is more, you just want to get the viewer's attention. 1. 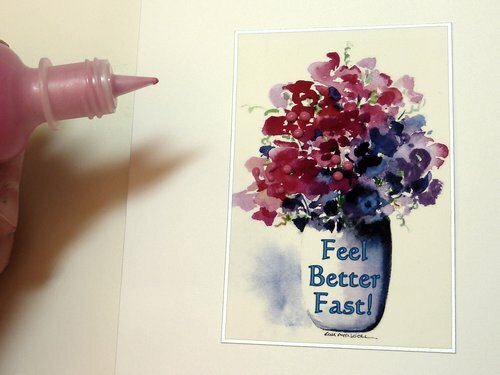 Raised flowers add dimension to a flat floral picture. 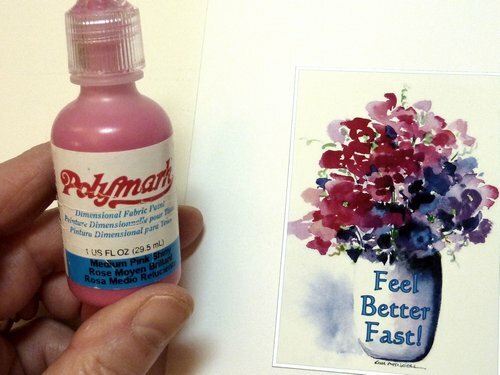 In this example I'll use Polymark Medium Pink Shiny Dimensional fabric paint. 3. It's a quick, very easy and effective enhancement!